Another one of my favorites from 2011 has just been optioned for a movie!!! Wooooo hoooo, just so exciting!! 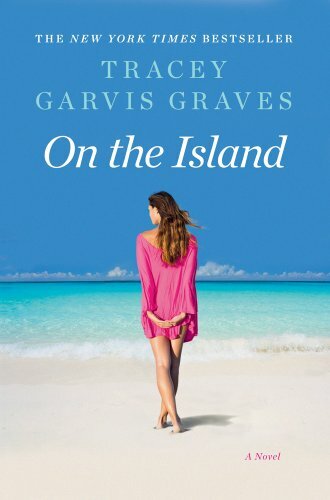 “I received some fantastic news yesterday and I’m beyond thrilled to announce that On the Island has been optioned for a feature film by MGM. I never thought I’d ever type those words. I told ya we had great book taste!! For those of you who haven’t read it yet, it is a MUST read!!! Full of drama, angst, survival, and best of all, intense romance!! Check out my review here. You’re gonna love the book, I just know it! Yay! That’s awesome! Loved this book and the author seems like a nice person, she commented on my goodreads review of the book which made my day. Can’t wait for this to come out! This is great news! I loved this book too! Just bought it. reviews sound awesome, so many 5 stars! Good for her! I loved this book. It was one of my all-nighters, but I just couldn’t put it down. Ok finished. That was so good and I would love to see a movie! It totally lends itself to an awesome movie!! Especially with that crazy reveal… it will be striking. I loved this book. Very emotional for me. I was so happy to see that the movie rights were bought. Just bought it and finished it in a marathon reading session….I just couldn’t stop! Thanks again for a such great recommendations! Can’t wait to see the movie! Ohmy! I am so thrilled when I saw this. I totally love the book and Travis herself is so cool to actually give a comment to the review I gave for her book! I am so excited for this one. I just hope that it will meet the expectations of the fans who truly love the book! The book was thrilling, thought provoking, well constructed, simplistic in approach, easy and fast to read in several sessions, and a beautiful love story. Just finished reading this book last night. I read it in one day. I could not go to sleep after. I just kept thinking about everything this boy(man) and woman went through. One of the best I have read in a while. I was not sure where it was going but I was pleasantly surprised. This book would make a fantastic movie. I read the book twice already!I think I’ll pick up the book up again. At 58 I’m in love again, with TJ. Can’t wait to see the movie, please pick the right man to play TJ! Just love the story. I loved this book. Best I have read in a while. If I was casting this movie, I would go for Taylor Laughtner and Evagaline Lily or Rachel McAdams. Just finished this book-absolutely loved it! So excited to hear about a movie. While I was reading it, I kept imagining Reese witherspoon as Anna and Chace crawford as TJ (though I’m sure whoever lands the roles will do justice to the novel). Read this book for my bookclub next month. Loved it!! You cannot help but wonder who’d the movie roles would go to! Taylor Lautner is good, but may be too old, and too buff, he’d have to unbulk. For Anna, I can see Kirsten Bell or Emily Blunt or Bryce Howard. And for T.J. maybe…the guy that played Sid in The Descendants, Nick Krause. He’d be good, he can pass for 16-19. TJ seems as a youngish looking, any of the Twilight-starring actors or similar would be too old. This is amazing! I loved the book and seriously can’t wait for the film!!! I read on another site that Tracey Garvis-Graves thought Minka Kelly would be great as Anna and I totally agree, I also think Steven R Mcqueen ( Jeremy – Vampire Diaries) or Graham Phillips (Zach – The Good WIfe) would be good as T.J. This book was wonderful-could not put it down. I read it in two days and that is a real accomplishment for me.